Straight Teeth in Just Months — Not Years! Is This Possible? Many people believe that braces are only for children and take years to achieve a beautiful, straight smile. Dr. Woeltje is proud to offer his patients an effective, safe, and affordable cosmetic solution, for patients 15 years and older, in an average of only 6 months! 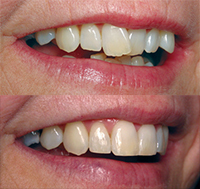 This accelerated procedure only focuses on the teeth that show when you smile and does not make significant bite changes — but can result in a beautiful smile in less time than you might ever have expected. 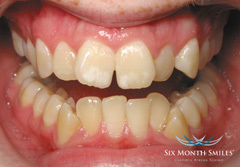 You can be proudly and confidently showing your beautiful new smile in as little as 6 months! 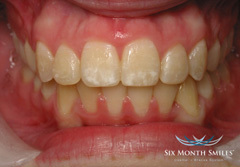 Call us today for your free consultation to see if Six Month Smiles® is right for you.